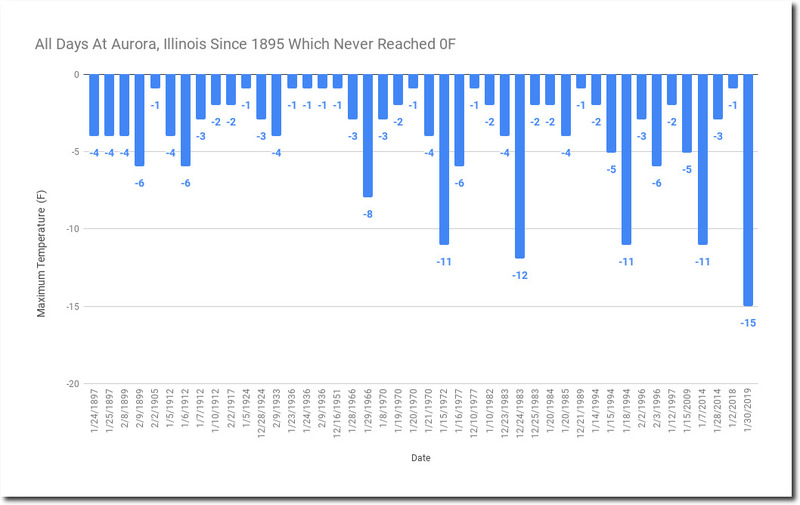 As I have been predicting, today was the coldest afternoon on record at Aurora, Illinois. 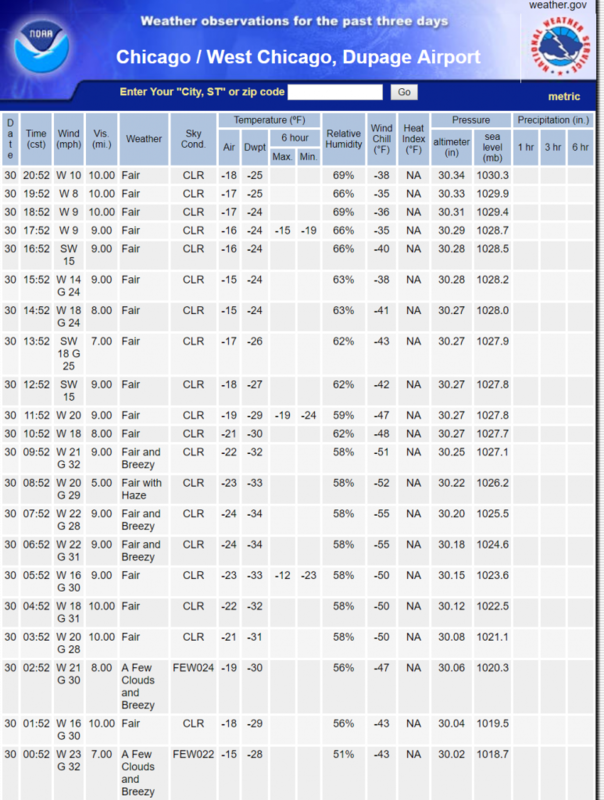 The maximum temperature today was -15F, beating their previous coldest day by three degrees. Aurora has had forty-four days since 1895 which never made it to 0F, with the previous record of -11F set on Christmas Eve, 1983. Note that the five coldest days have occurred in the past fifty years. Today beat the previous January 30th record by fifteen degrees, which had been set in 1951. Similarly, the frequency and intensity of hot days has plummeted at Aurora since the 19th century. Three weeks ago the US and European weather models were forecasting warmer than average temps in the Midwest and Eastern US for this period. 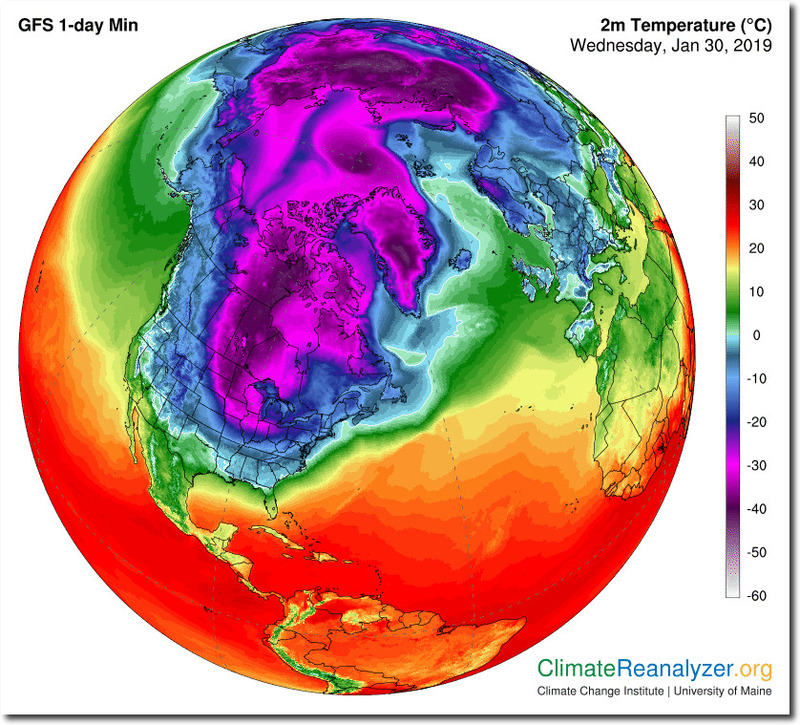 Now NOAA wants to pretend they know why we’re freezing our asses off. I quoted you on twitter. LOL! That should get a rise out of them. Things (weather) of the past hitting Britain again. Those poor children. So NO snow was a sign of global warming and now more snow and cold is a sign of global warming too. This polarvortex storm has a name ? Now -that’s some impressive global warming hole. After hearing about apocalyptic climate change water got frozen in shock ignoring the tropical heat. Isn’t that about the same temperature as the “super hot” Arctic that alarmists are in a tizzy about? Good Gawd 111F in 1936. 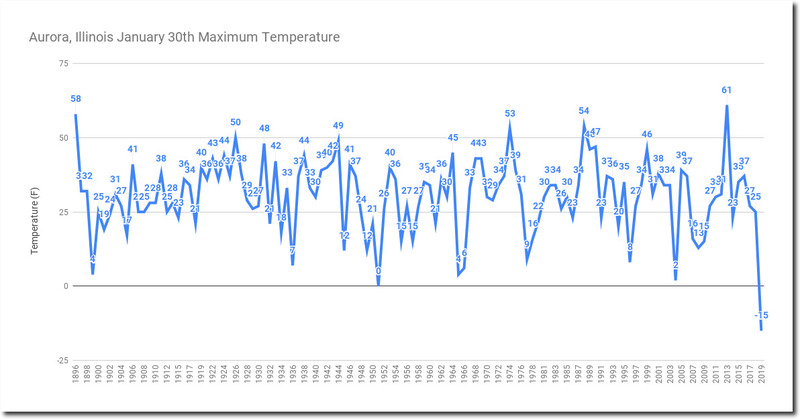 How long before they exclude everything before 1955 because temperature was measured “differently”? 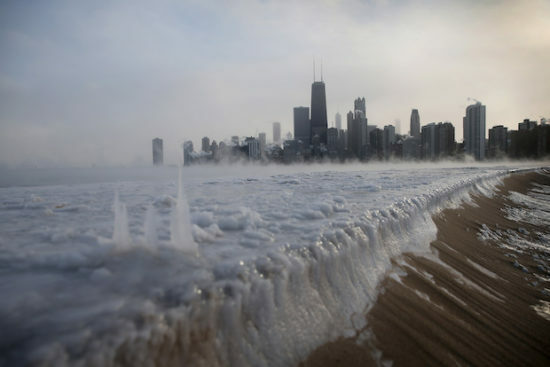 I guess the gunfire in Chicago kept it warmer than surrounding areas. Thanks for that map Tony, normally when cold from the Arctic goes south the Arctic reason warms up, but this time it still looks cold. As you mentioned in a previous post the Arctic ice is not as low as in the previous 3 or so years so this will add to this small rebound, or at least levelling off. It will be interesting how this effects the summer melt. Normally winter extent and summer extent maxima and minima are not connected, so they tell us, but I think they are so nowadays. Could be a slow start to the melt season where even average weather cannot nibble into it. I still don’t rate volume graphs though compared to extent, too much calculation and estimation for me…..
Hope you had a nice Christmas and New Year, not been on here for a while. And next winter they will all say its got much warmer than last year. Told you so, it is global warming.